Four new tracks – AC DC, Watts Occurring, Blackadder and Off Grid – are open as of June 1st, with the promise of three more coming soon. Back in March we brought you the news that new trails for Bikepark Wales to open before July, well, here they are. Four of them anyway. With three more to open soon. These seven new sections of trail are being created with four of them following the park’s familiar method of grading trail firstly by colour; blue being the easiest, then red, then black: followed by a description of the trails style, which so far has either been Flow or Tech. Two of these new trails are Blue Tech which provide more of an in-between option for those riders familiar with the blue flow trails, but for whom the red tech trails might be a bit much. The three other new trails, follow the same colour grading, but instead of being Tech or Flow, they are described as Blend trails which take the elements from both, so expect to find smooth flowy berms, as well as more natural rooty and rocky sections on the same trail. The input for these trails has come from feedback from riders at the park, so hopefully the new sections prove as popular as the current network. 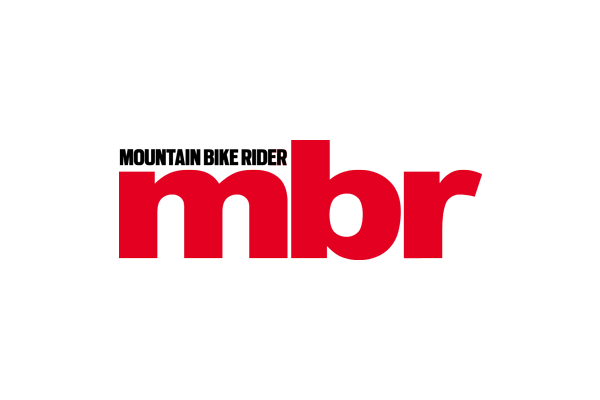 mbr had a sneak peek at the progress of the developments, and it’s safe to say you will not be disappointed! It was highly impressive seeing the amount of work done to the established trails as well, this fresh investment has not left the old trails forgotten; Rim Dinger and Terry’s Belly amongst others have seen considerable work recently. This is where Bikepark Wales excels beyond many trail centres, they have seven (soon to be eight) full time trail builders, who continually keep an eye on the condition of the tracks, and make repairs when necessary. It was also fascinating seeing the work that goes into trying to manage drainage around the park, we saw what we thought was a new trail until we realised it was dug to try and catch water that would otherwise flow onto the track below. The seven new trails are by no means the full extent of the new development, there are plans to improve just about every aspect of the bike park to provide a more polished all round experience to customers. Wherever founders Martin Astley and Rowan Sorrell feel like service or infrastructure are lacking, they are taking measures to address this. These plans include widening the uplift road to two lanes which is currently halfway through completion and will vastly improve the uplift capacity, as well as introducing a new custom built uplift vehicle. The car park will increase in capacity in time such is the parks popularity, there will be a new hire centre building as well as more toilets and showers. Oh and not forgetting a proper coffee machine! This project has been the biggest trail building project since we opened in 2013. Trail builders Back-On-Track have been on site for the last 4 months and have put in over 3000 man hours, have snapped 2 digger booms, moved hundreds of huge rocks and imported zero material. To say it’s been busy would be an understatement! So, what exactly have we been working on? Well, throughout June we’ll be opening 3 blue trails, 3 reds and 1 black. The eagle-eyed amongst you may have noticed that we’ve also introduced a new style of trail named “BPW Blend”. Previously our trails have been built to be either flow with wider, generally smoother surfaces and berms, rollers and jumps, or tech with more rock and root features and rougher more technical surfaces. A blend trail literally does what it says on the tin and mixes the two styles together. Take Watts Occurring our new red blend trail for example, one minute you’ll be railing berms, flowing over sculpted jumps and the next you’ll be picking your way through a huge scree slope filled with rocks! Blend trails really allow us to work with the huge variety of terrain that we have here at the park and offer riders a truly unique riding experience. Another exciting addition is the introduction of our first blue tech trails, Fforest Bump and Off – Grid. Previously all our blue trails have been surfaced flow trails. 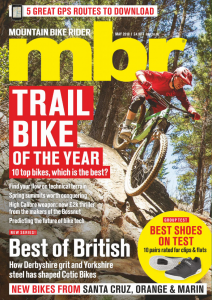 Fforest Bump and Off-Grid offer an introduction to tech trails and are unsurfaced so will develop into more rooty and challenging trails giving riders the perfect introduction to tech riding before jumping onto the red trails.